It was intended from the outset that the charity’s activities should be totally inter-provincial and the aim was always to spread the word to other areas. Physical and mental disabilities observe no boundaries – so why should the endeavours of the charity? In no time at all there were over 30 masons keen and eager to become founders of this Lodge. The Provincial Grand Secretary for Hertfordshire was quick to offer his support and very kindly gave his time and experience to guide us through the details and procedures which would have to be undertaken along with the Founding Secretary. 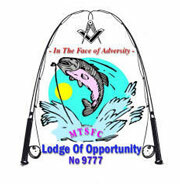 Thus the Lodge of Opportunity was formed in 2004 and the idea caught on fast. The 30 founders became 34 and many new members have joined from the non-masonic fishermen and helpers who come along to the events. The Lodge and the idea is surely guaranteed to be successful.